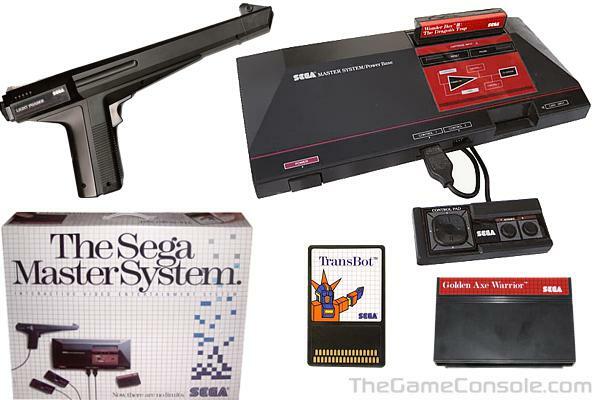 After producing many games for early home video game consoles, Sega decided to develop a console system of its own. The SG-1000 and Mark III were available in Japan in the mid-1980s, but when Sega witnessed the early success of the Nintendo Entertainment System, the company knew it wanted a share of the American console market. So, Sega redesigned the Mark III, renamed it the Sega Master System (SMS for short), and released it in 1986, not long after the NES first came out. Technically, the Master System was superior to the NES, with better graphics and higher quality sound. The original SMS could play both cartridges and the credit card-sized "Sega Cards," which retailed for cheaper prices than carts but had less code. The SMS also had cooler accessories (like 3D glasses), but this didn't do much good when there weren't very many exciting games. The Master System technology lived on in Sega's Game Gear, which was basically a portable SMS with some enhancements.